It seems that whenever I wear anything from Primark I get a few compliments on my outfit that day. I could literally dress from head to toe in the most garishly fashionable outfit in the world and no one even looks at it. But make minimum effort with a £10 Shirt Dress from Primark and outfit comments will head my way throughout the day. 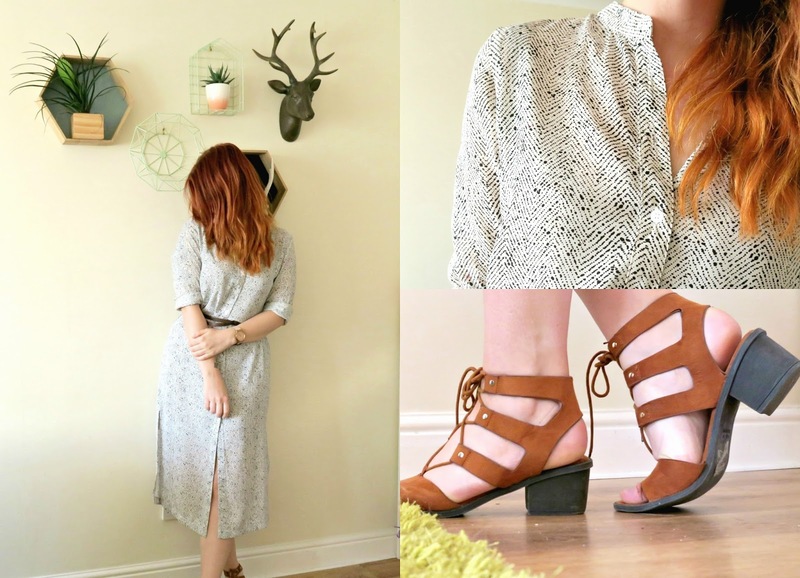 I picked up this particular shirt dress from Primark a few weeks ago. On the hanger it looked like a shapeless and kind of drab garment. Once I popped it on and added a slim belt though, it seemed to transform in to such an effortless and comfortable choice for a summer day. The length is also perfect for days when you forget to fake tan/shave your legs! The shoes are also from Primark a few months ago. The heel height is perfect for every day wear and I surprised to find they were real leather for the £14 price tag. Primark really is a bit hit and miss with the seasonal transition and I’m finding myself really having to dig and give less appealing clothes a go, in the hope to find something snazzy. I think I was lucky with this outfit, but have you picked up anything good lately?